NEW YORK (Reuters) - Wall Street's three major stock indexes lost ground on Friday, after a week of recovery from the October sell-off, as oil prices fell further and more evidence of a slowing Chinese economy was reported. "Oil is spooking the market. If oil prices are going to go lower that's another sign that the global economy is going to slow its growth," said Chris Zaccarelli, chief investment officer at Independent Advisor Alliance in Charlotte, North Carolina. "I think we're going to go lower than the October low. Economic growth is slowing but it won't slow enough to stop the Fed from hiking," said Jim Paulsen, chief investment strategist at the Leuthold Group in Minneapolis. 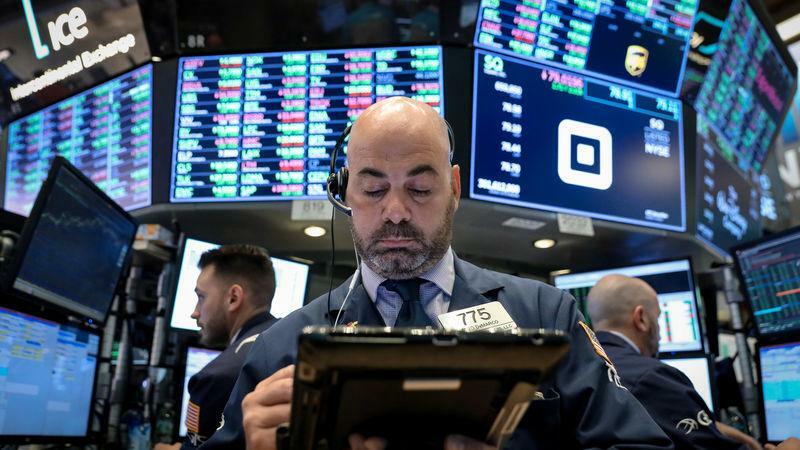 Investors appeared unwilling to take on risk, sending the S&P technology index (.SPLRCT) down 1.7 percent as Apple Inc (AAPL.O) dropped 1.9 percent and semiconductor stocks (.SOX) tumbled 1.9 percent. The consumer staples index (.SPLRCS) was the biggest gainer with a 0.5 percent rise while other defensive sectors such as utilities (.SPLRCU) and real estate (.SPLRCR) eked out small gains. The Chinese data sent global stocks into a tailspin and put pressure on trade and commodity sensitive sectors. The U.S. industrials sector (.SPLRCI) fell 1.0 percent and materials (.SPLRCM) dropped more than 1.4 percent. U.S. Federal Reserve policymakers left interest rates unchanged on Thursday, as expected and its policy statement signalled more rate rises ahead even as it noted that business investment had moderated. Shares in tobacco companies fell after an official said that the U.S. Food and Drug Administration would issue a ban on the sale of fruit and candy flavoured electronic cigarettes in convenience stores and gas stations. Altria Group (MO.N) ended 2.98 percent lower while British American Tobacco's U.S. shared fell 4.2 percent. Declining issues outnumbered advancing ones on the NYSE by a 2.22-to-1 ratio; on Nasdaq, a 2.95-to-1 ratio favoured decliners.